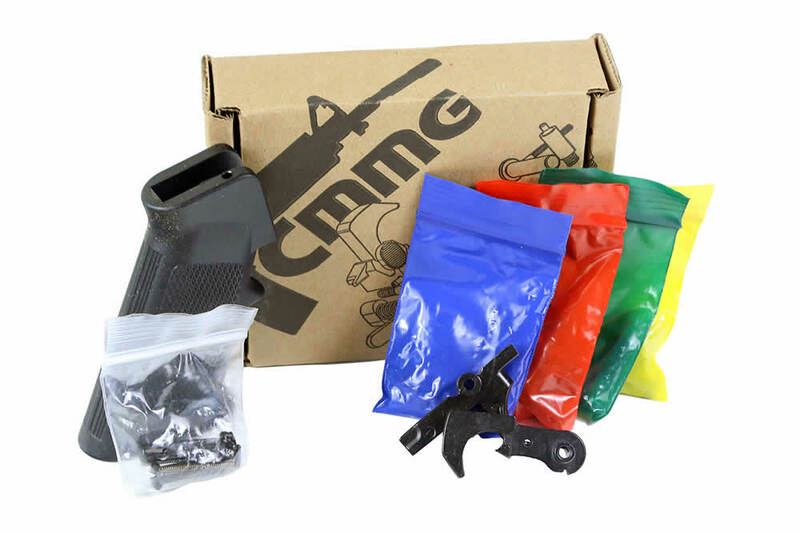 CMMG lower parts kit is designed for AR-10 lowers, kit includes a pistol grip, fire control trigger, and pins required to complete a stripped lower. These are some of the most consistent lower parts kits we have ever used. Each and every time I use one of these lower parts kits the pins fit perfectly and the lower assembly goes as planned. Stop loosing your mind trying to hammer in oversize and out of spec pins, save your lowers finish, save your mental health and buy it right the first time. 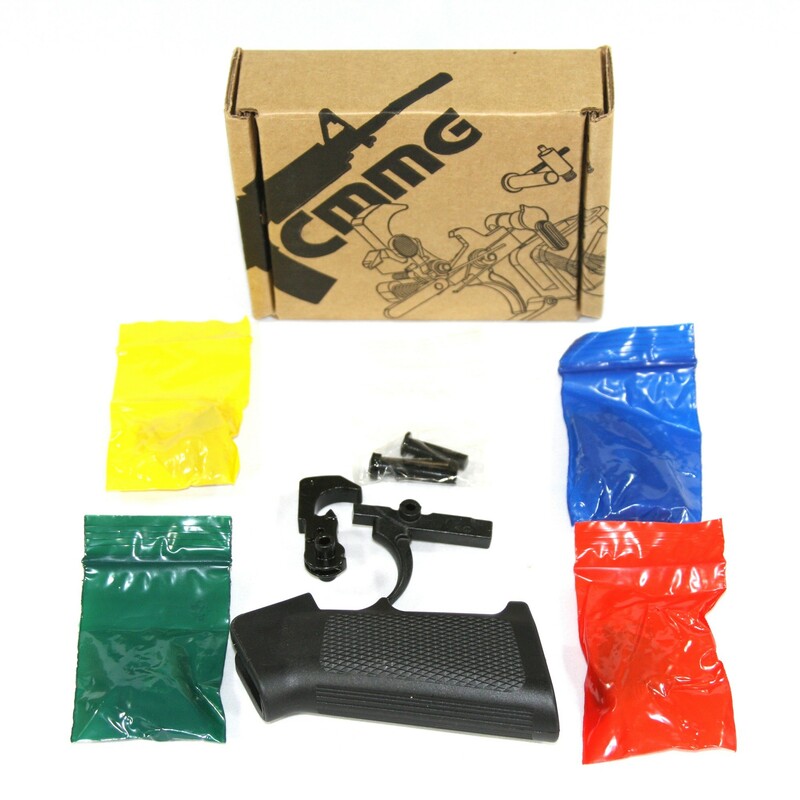 We suggest that every family that has an AR keep at least a few spares on hand. This is one of those parts, whether you buy it from us or not, keep spares on hand! This is a nice kit if you don't need a match trigger. I find the trigger is nice enough with a little hand polishing on the contact surfaces. Breaks real clean with no creep. All the pins fit in secure without being difficult. Arrived quick and in good shape. Of all the lower parts kits I have used the cmmg ones seem to be very consistent. Oh make sure you use some masking tape so you dont ding up the anodizing on your new toy. So .308 AR's really dont have a milspec, as a result there are all sorts of variations out there. Sometimes finding lower parts kits to fit your particular lower is a pain in the rear. The trigger is not bad, polish the contact surface with some 1000 grit sand paper and some gun oil, makes the trigger very smooth. These kits fit the Harrison Gear lower which is what I needed. WORKED FOR ME.